SmSh, blazing trails from Yangpu to Xupu Bridge. 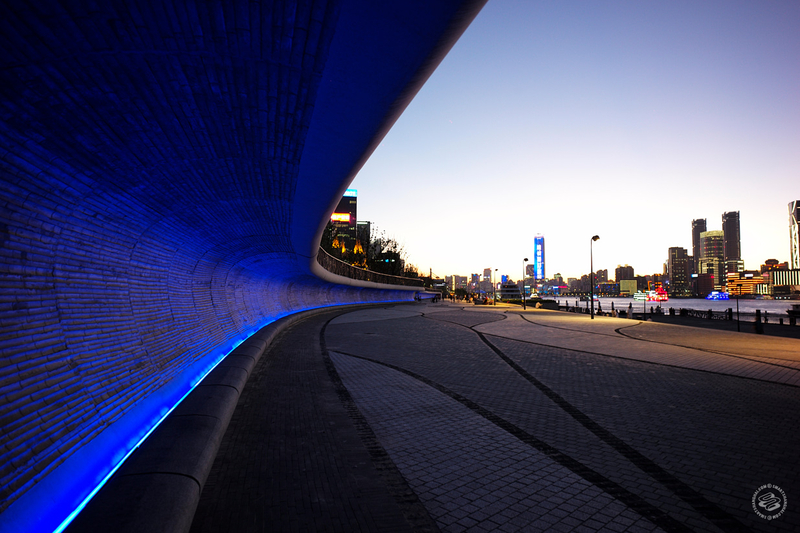 Here's a look at what's new along that seemingly ever-evolving 25km bike / walkway trail on the Pudong side of the Huangpu. "Tested" is our column where we check out new goods, services, and things. We see if they're worth your time and money so you don't have to. Huzzah. 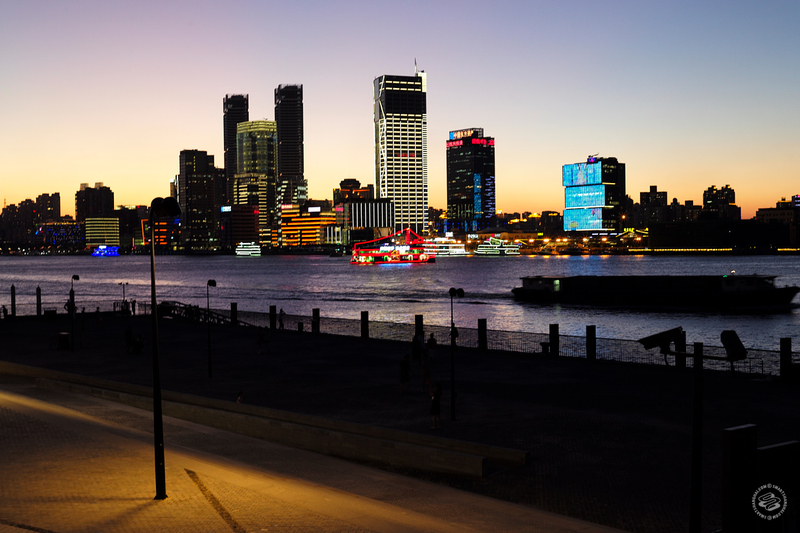 "We should go to Pudong more," said no one ever. 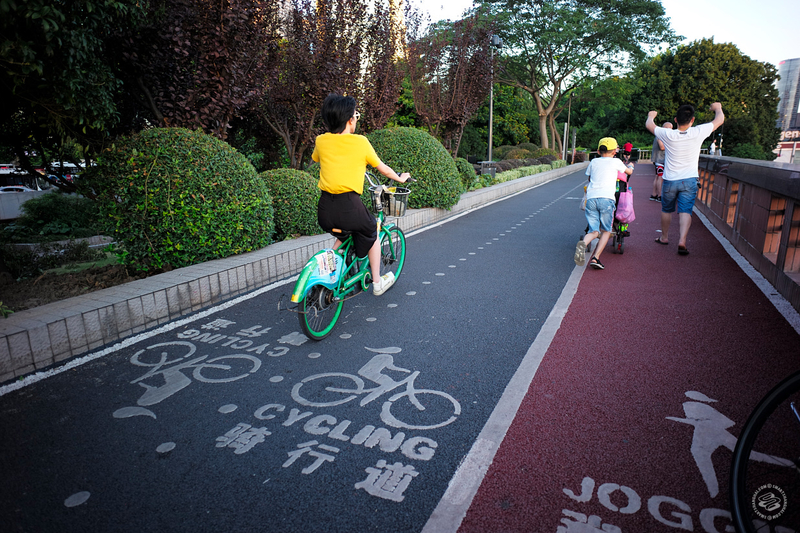 And they're still saying-not-saying that, but for cycling enthusiasts, the opening of the Huangpu Riverside Trail, a 25-kilometer asphalt pathway spanning from Yangpu to the Xupu Bridge along the east side of the river, might be reason enough to head out east at least once. Technically completed at the end of last year — but with ever-ongoing construction along the side of it, really technically, technically only completed now-ish — the Riverside Trail is a nice summer activity bucket list item if you can get to it on a day when it's not blazing hot or typhoon raining. There's still construction happening along the trail — because of course there is — but it's all ridable; city planners are intending for it to be a great trail, of Thames or Left Bank proportion. To which we say, yeah it was pretty nice! Check it out. For best results, experience the trail on two wheels. You can walk it but it's super long — 25 kilometers. Even for cyclists, that's a pretty long ride. We did about half, starting at the Fuxing Ferry Station, crossing the river with our bikes there and hopping on the trail. We opted to head north towards the Yangpu Bridge. Technically you can pick up the trail whereever you like, but not all ferries let you transport bikes, which makes the Fuxing Station a natural starting point. 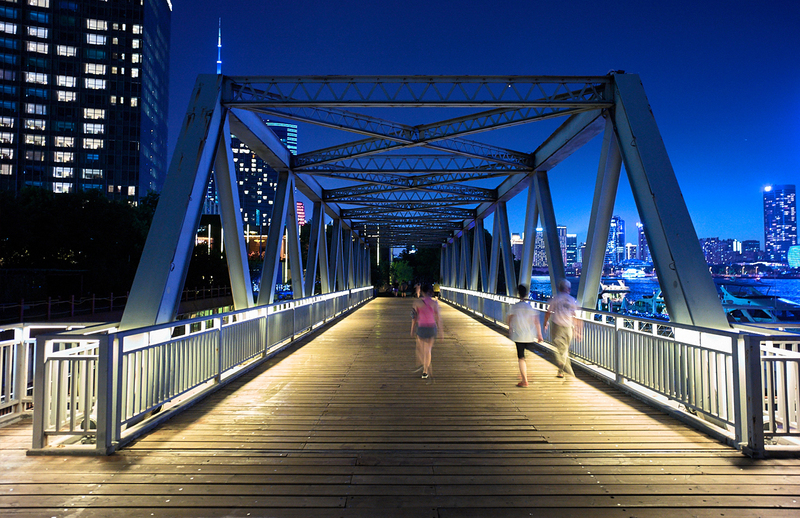 You could also head south, past the Modern Art Museum all the way down to Xupu Bridge. Living out our own version of an Ethan Hawke movie, we rode from sunset to dusk. Pro: You get that “get out of Shanghai” feeling we all book flights for. The whole ride is along a sliver of green space bordering the river, but it feels tranquil and very... un-Shanghai. Trees, flowers, aquatic birds, dragonflies, bats — experience all the nature-things you've been missing. 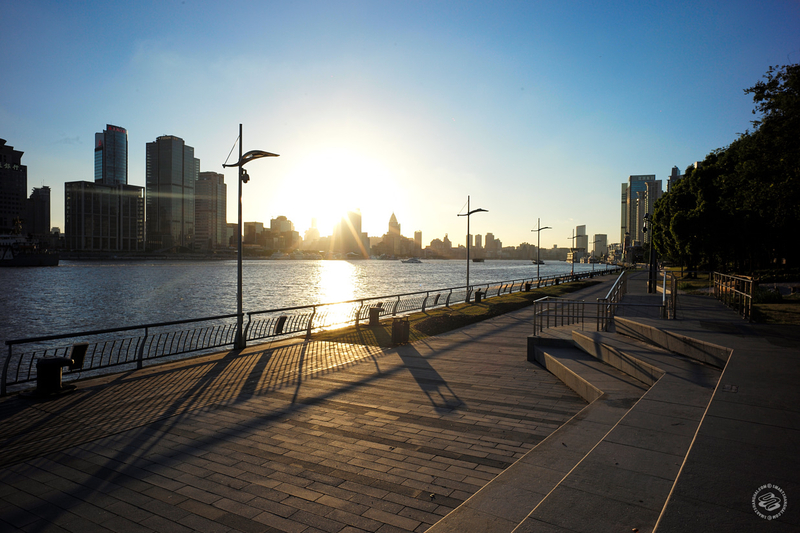 They've also made the trail diverse with landscaped foliage and ultra-modern who-knows-what's-in-there buildings, and of course, stunning Bund views; great at sunset, even better when the sun goes down. Along the way you see some things. Things are there to be seen. 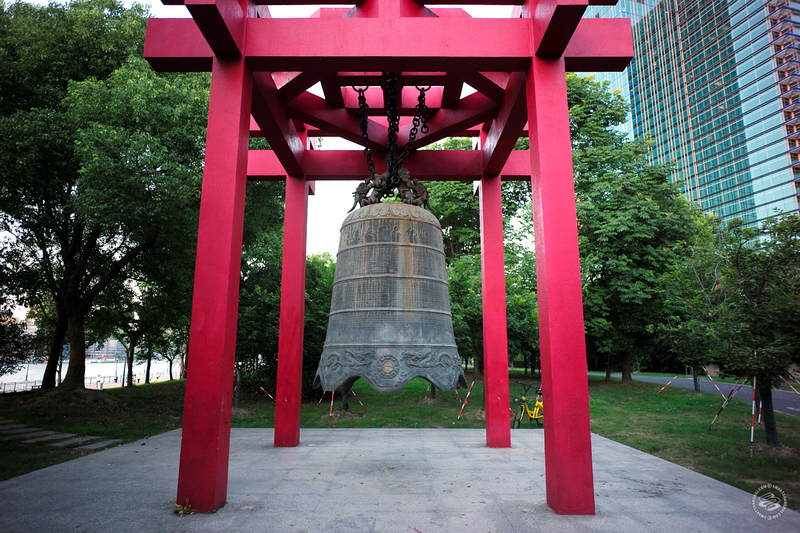 Modern-art-meets-history installations, like this bell. 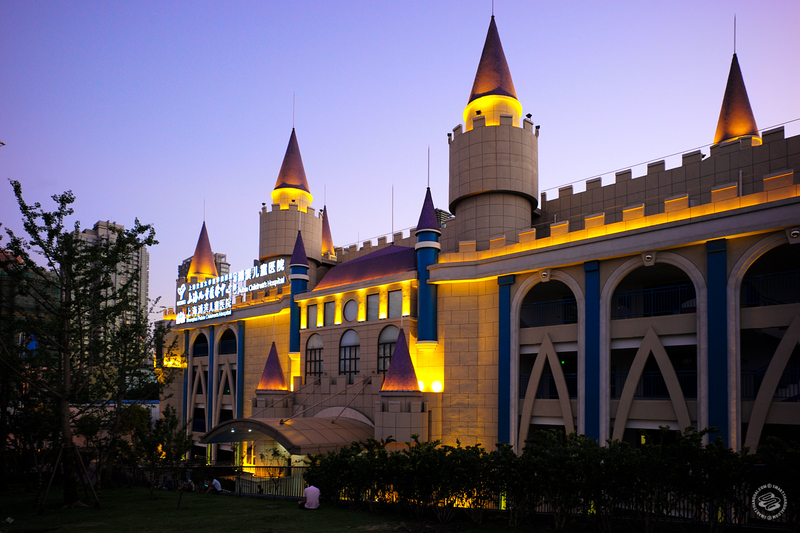 World's most ominous and creepiest children's hospital, designed by Lord Farquaad himself. Just living our best lives out on the Riverside Trail. Con: In certain patches where it was a bit crowded, there were so many people walking on the bike path you had to stop to get around them. Perhaps not surprisingly, most people weren't paying attention to the clearly marked lanes. Currently the trail does not seem overcrowded. As the trail becomes more popular, it's possible the whole not paying-attention-to-lanes thing might become an issue. Sunset is also likely a pretty popular time, maybe try at an odd time for some empty road. Also note, if you are biking at night make sure you have a light on your bike; the trail has parts that are well-lit, but some dark stretches and with pedestrians in bike lanes this has the potential to get dicey. There are live-children obstacles everywhere. 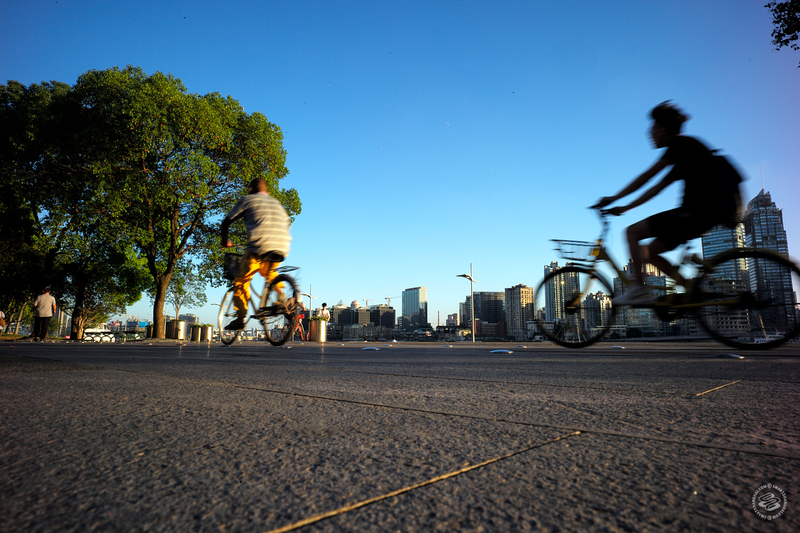 Pro: In the areas that are well-lit, it's a safe and pleasant place to bike at night. There are also shared bikes along the way if you don't want to schlep your own. And it's not just for biking! As mentioned before there's lots of strolling happening and there are also tables set up sporadically on the trail for your picnic-enjoyment. Facial recognition toilet paper dispenser! Omfg! Apparently public TP is currently a hot-button issue, with over 700,000rmb flushed away annually in Jing'an alone. Facial recognition rations your toilet paper and won't let you go for seconds. 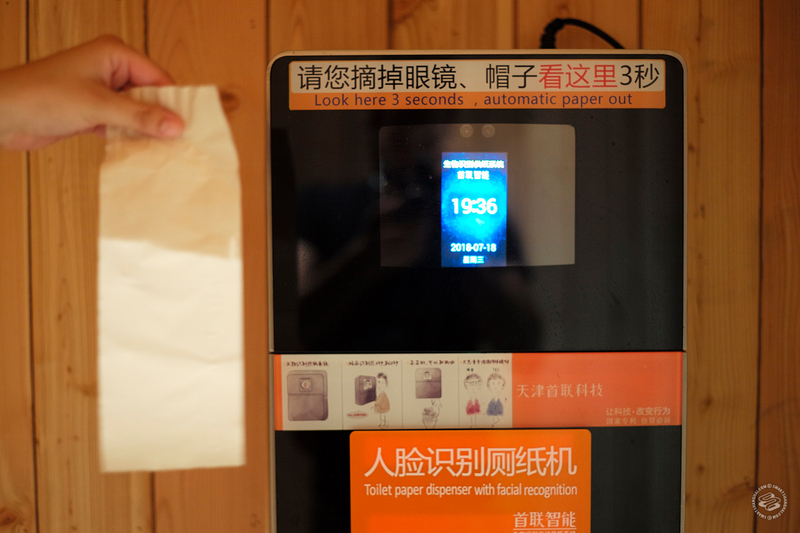 But the Shanghai Environmental Sanitation Administration said it won't use facial recognition in public toilets, because it's "inappropriate." Yet, here they are! And it seems more will sprout up along the trail. Do you hear the people sing? There's a public toilet revolution brewing. Final Thoughts & Feelings: So the trail...is it the River Thames? Is it NYC's Highline? It's better. And with perfectly rationed TP, it's environmentally friendly. Congratulations Shanghai, you've done it. The greatest city in the world. 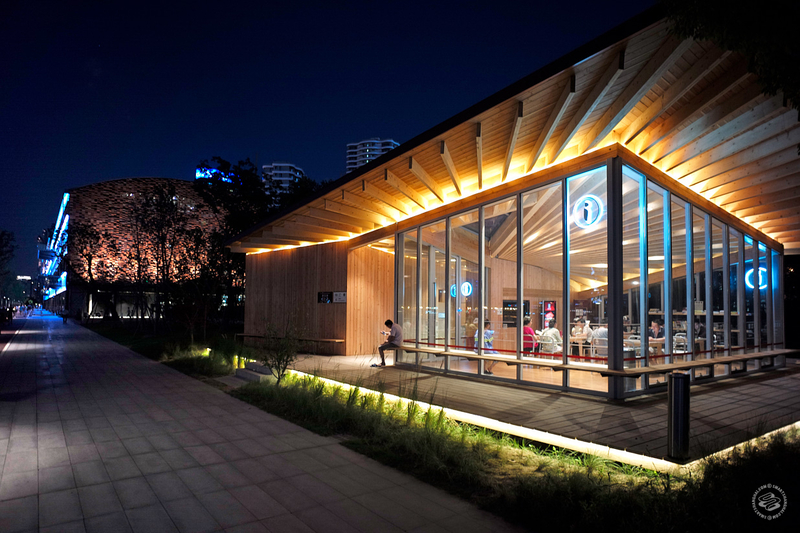 But seriously, get out there sometime, it's in Pudong but it's super nice, we promise. If you live in Puxi and want to bring your own bike on the trail, taking the ferry is your best (and cheapest) option. 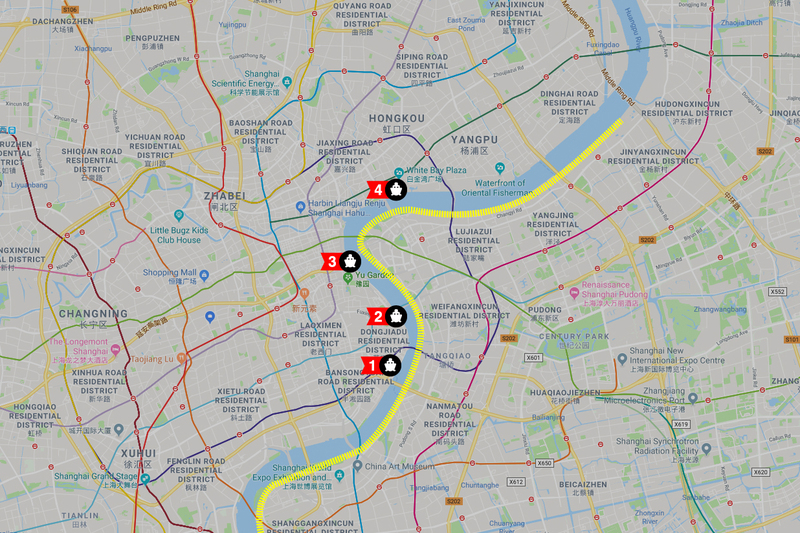 There are 17 ferries in total crossing the Huangpu river (excluding the tourist ferries), but for downtown transfers, we've included the 4 most conveniently located ones on the map above. Keep in mind that some ferries only depart every 30 minutes so there might be a wait. 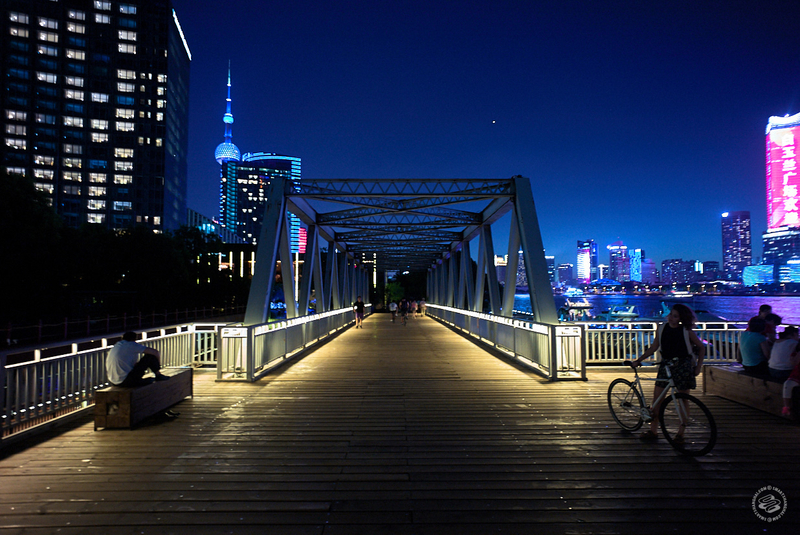 The Dock is easy to find on the Pudong side, however the dock on the western side has relocated south quite a distance to HauJing Lu, you wont pick it up by casually cycling along. 三港线轮渡 is the ferry line in baidu. So glad one of you guys finally made it out here at what I'd like to think was my personal request! Seriously though I couldn't recommend this trail enough, albeit a bit hot at the moment to truly enjoy. Come September though it'll be an absolutely gorgeous trip to make out there before winter sets in! @OJRyan whoops! That's correct. 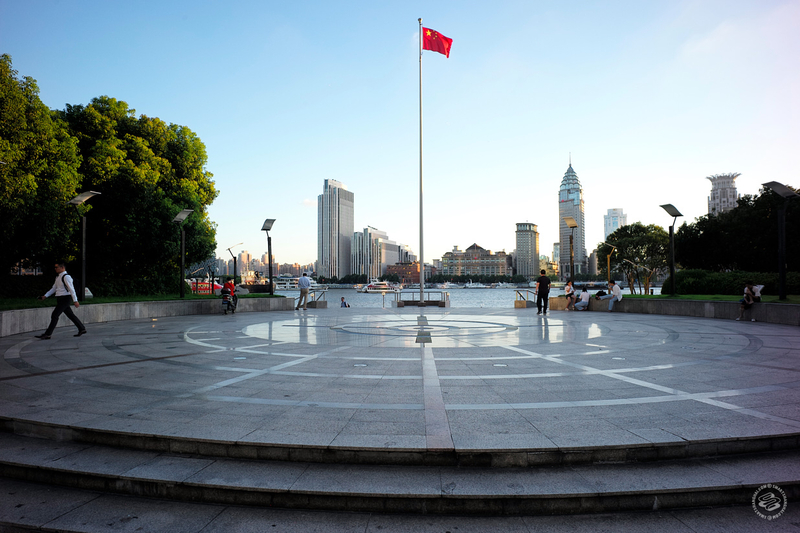 It's the Puxi waterfront promenade that stretches for 45km (also worth a visit).